Select an option It's a Girl! It's a Boy! It's Twins! Oh Baby! Sweet Baby Girl Sweet Baby Boy Boy or Girl? Our custom baby girl shower hair tie favors will add a special personalized touch to your party! We can customize the colors to fit your theme, just send us a message! 1 | Select Your saying from the drop down menu. 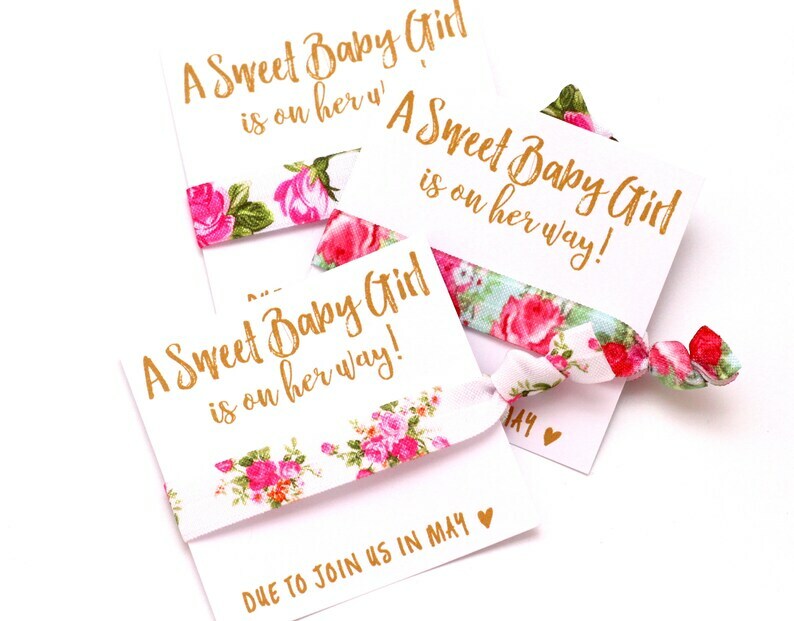 3 | Leave baby's birth month or mom's name at checkout (depending on card selection) in the notes at checkout for card personalization. Please be available for any questions regarding your order. If we are unable to contact you it will delay the processing time. *Tag us on Instagram for a chance to be featured!